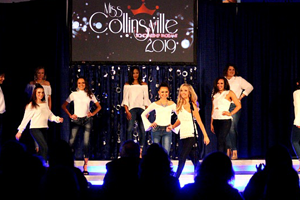 The 2019 Miss Collinsville and Miss Collinsville Outstanding Teen pageant was held on Saturday, January 26, 2019 at Collinsville High School Event Center. 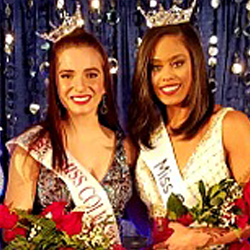 More than 100 were in attendance as Michella Wilson was crowned as Miss Collinsville 2019 and Eva Reis became Miss Collinsville Outstanding Teen 2019. Heather Rasmussen-Lindsey, emceed the event which featured 6 young ladies in the teen pageant and 4 vying for the Miss title. 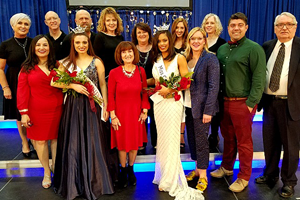 The Miss Collinsville Board of Directors would like to thank the sponsors of this year's event without whom the night would not have been a success. 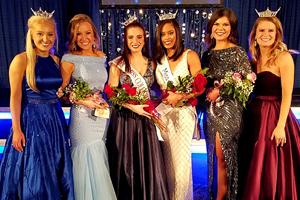 Click here for more pictures of the 2019 pageant.